Mid-life can assail us with a whole host of negative thoughts. Perhaps about where we are in life, or perhaps about our health or even, perhaps, about our looks. The problem with thoughts of any kind, though, is that whatever thought is at the forefront it tends to dominate what we see in the world around us. Just to illustrate, a few months ago I had to buy a new car. I ended up buying a second-hand Hyundai i30. 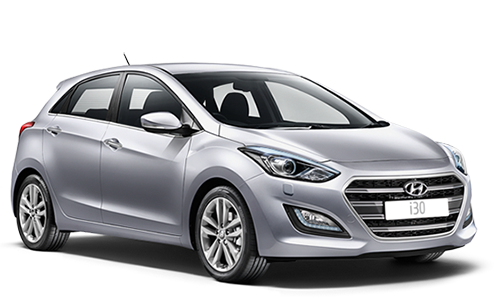 I had never considered buying a Hyundai but circumstances – i.e. the right size car at the right price – led me to sitting behind the wheel driving it home. Then the inevitable happened, from having never even registered seeing a Hyundai, the road suddenly seemed full of them. Everywhere I went over the next few weeks I saw just about every model available and, quite probably, just about every colour available. This is the result of something being at the forefront of our mind and, if you are on the road shortly after reading this, you will probably start noting Hyundai’s everywhere too! So when we have negative thoughts plague us everything around us seems to work against us. Negative thoughts spiral, an issue that may have begun at work will, sneakily, begin to affect our home life too. It is not an easy spiral to escape from but if we can bring the idea of a positive mindset into our minds we can start to move forward and away leave the negativity behind. I am using the term “positive mindset” to distinguish it from “positive thinking”. The term positive thinking carries its own baggage. From blind optimism which ignores any potential issues that may need to be dealt with to the idea that you can get anything you want just by willing it into existence. That latter idea, sometimes called the law of attraction, may work for some but only because they are, subconsciously, using a positive mindset. Because, as in the Hyundai example, if something is at the front of our mind we are going to pay more attention to it. So someone trying to will themselves rich should notice more finance related things around them, the difference between success and failure though is the action they take. They may notice financial information but unless they invest they are not actually going to increase their wealth. Simply a positive mindset is positive thinking + positive action. Elite sports stars illustrate this best. They will use positive thinking and visualisation to see themselves performing and winning but they know that none of that is of use without the sacrifice and hard training needed for them to be truly successful in their sport. So if we want to improve our own lives as we work through our mid-life years we need to adopt a positive mindset. This will involve deciding what it is we want out of life, what goals we need to adopt to achieve that and, while realising that every path in life has ups and downs, remaining positive that we will achieve those outcomes. Subsequent posts will elaborate more on developing a positive mindset and goal setting but, for now, why not take one positive action and click on the subscribe button so that you don’t miss those future posts.